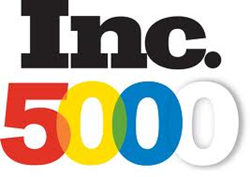 Career Step is pleased to announce that it has been included in the prestigious Inc. 5000 list, which ranks the fastest growing, private companies in the nation, for the eighth time in the company’s history. This is an honor that truly reflects upon our entire team at Career Step. Our people are the foundation of everything we do, and it is through their hard work and the mission they embrace to serve all of our learners that has fueled our growth. Career Step, a leading provider of online career-focused education and corporate training, is pleased to announce that it has been included in the prestigious Inc. 5000 list published annually by Inc. magazine, which ranks the fastest growing, private companies in the nation. This is the eighth time in the company’s history that it has made the list. Career Step has grown rapidly since it first appeared on the Inc. 5000 list in 2003. Originally offering a single training program in medical transcription, Career Step now also offers training for those interested in starting new careers in fields such as medical coding, pharmacy technician, and medical office management, among others. The school also offers continuing education for healthcare providers and professional training and education resources for healthcare organizations. The Inc. 5000 list is compiled and ranked by companies’ revenue growth rate from 2012 to 2015. To qualify, companies must be at least 3 years old, based in the United States, privately held, for profit, and independent as of December 31, 2015. Career Step has been included on the Inc. list eight times since 2003, consistently ranking among the nation’s top education companies. To see Career Step’s complete 2016 Inc. 5000 profile, visit http://www.inc.com/profile/career-step. Career Step is an online provider of career-focused education and corporate training. The company has trained over 100,000 students for new careers, has more than 150 partnerships with colleges and universities nationwide, offers a variety of continuing education courses for healthcare professionals and has educated more than 8,000 health information professionals through its Professional Training Division. Career Step provides training for several of the largest and most respected healthcare employers in the nation and is committed to helping students and practicing healthcare professionals alike gain the skills they need to be successful in the workplace—improving lives, advancing careers and bettering business results through education. More information can be found at http://www.careerstep.com or 1-800-246-7836.